Pranic Healing is an marvelous, effective energy healing system developed by the late Master Choa Kok Sui. It’s one of the fastest growing complimentary therapies in the world! You may benefit immediately in addition to feeling more relaxed and “grounded” after your personalized healing session. Per the Pranic Healing website: “Pranic Healing is a highly evolved and tested system of energy medicine…that utilizes prana to balance, harmonize and transform the body’s energy processes.” The wonderful thing about PH is that it can be done in person or long distance. My clients are not only local but also national and international. Call me today for your healing session! Pranic Healing is becoming an accepted “mainstream” healing modality, presented at Tony Robbins seminars and NASA. Please continue to read for more information. Pranic Healing Crystals Please continue reading if you would like more information. Tony Robbins invited Master Co, the Pranic Healing Senior Representative in the U.S., to introduce Meditation on Twin Hearts and Pranic Healing to a crowd of 9,000 at the Unleash the Power Within Event. Tony Robbins is a best-selling author and dynamic speaker. Also, Master Co introduced PH at NASA/JPL with 200 engineer and scientist attendees. Master Co is an engineer, so when he spoke he felt right at home! I am a student of Master Co and Kim Fantini, having attended many high level PH seminars over the past 10 years. I may use crystals (also called “laser”) to help facilitate the Pranic Healing. It accelerates the healing. 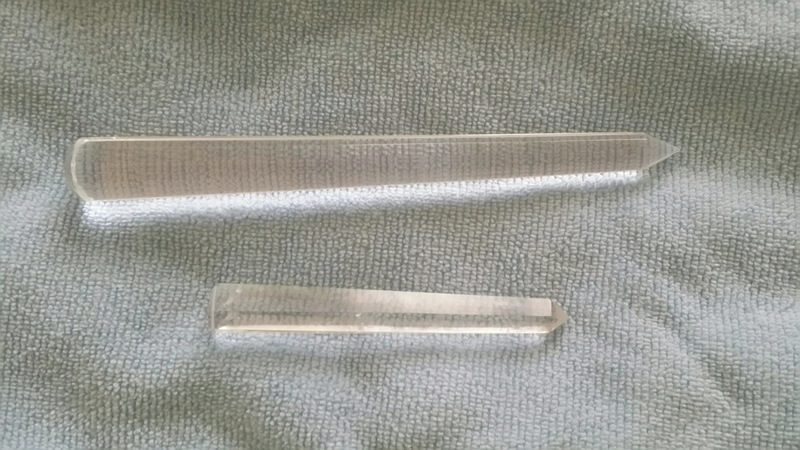 My large crystal was consecrated by Master Choa before he passed. Many clients call/text me when a catastrophic event occurs or clients will schedule in advance of medical procedures. References are available. I have found that PH is very effective method to help someone “pass” to the other side more easily. It’s an unbelievable experience which I share with you and your family during the transition. Call me for more information. If this will be your first introduction to Pranic Healing, what can you expect? During a basic session, your aura will be thoroughly cleansed, your major chakras will be cleansed, energized and balanced and I will cut all your negative cords. You may feel very relaxed and “relieved” at the end of the session. If done via long distance, the same treatment will apply and the effects are the same. Long distance healing is very effective! Chakra is a Sanskrit word literally translates to wheel or disk. In Pranic Healing, this term refers to the wheel of energy. There are 11 major chakras in our body, according to Master Choa. Master Choa developed the modern Pranic Healing. To visualize a chakra in the body, imagine a swirling wheel of energy where matter and consciousness meet. This invisible energy, called prana, is vital life force, which keeps us vibrant and healthy. Pranic Healing can be used along with traditional medicines and treatments. It uses no drugs or herbs, only the Practitioner’s energy. Everyone has a different healing response and healing rate. Specific healing requests are priced individually and multiple sessions are discounted. Regular Pranic Healing sessions may help you to maintain a state of good health. I offer a Concierge Pranic Healing Program (refer to my website page) which will allow you to maintain your PH benefits. It’s a great way to receive PH without you having to remember to call her. Please find the wonderful benefits under the “Concierge Pranic Healing” page. My brother, sister, and sister’s husband have become Pranic Healers, too. My mother, the recipient of many wonderful and effective Pranic Healings, has been a great benefactor to my PH education. I practice Arhatic Yoga meditation, which strengthens my healing abilities. Please call to discuss your Advanced Crystal Pranic Healing needs which will determine the cost. You may be asked to prepay for the session(s). Disclaimer: Pranic Healing does not replace traditional medicine. It does not claim to heal you. We understand that events occur that may prevent you from keeping your appointment, however, management reserves the right to charge for the session in the event of a no show.